Significant insights gained from population-scale genomic studies, based on the knowledge of genetic variation and disease causation, will help to enable a new reality of personalized medicine and treatment. The ability to sequence whole genomes quickly and economically is driving interest in population-scale sequencing efforts that can reveal meaningful insights on a much more systematic basis than previous approaches. A range of large initiatives announced recently are prime examples of the trend in population sequencing, including industry programs by Regeneron and Human Longevity, and the 100,000 Genomes Project by Genomics England. Perhaps better than any other effort since the founding of deCODE in Iceland, the establishment of a high-throughput Genomics Center at Sidra Medical and Research Center in Qatar embodies the movement toward these types of population studies. The eventual goal of the project is to sequence the entire Qatari population of some 300,000 people. But from the beginning, the Sidra facility will help advance genetic mapping projects, including the creation of Arab consensus genome to obtain a better understanding of genetic variants that influence health across Arab populations and, indeed, beyond. In addition to these efforts, the center will focus on uncovering the causes of rare genetic diseases. 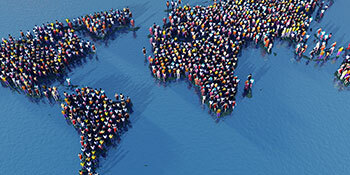 The significant insights that can be gained from population-scale studies, based on the knowledge of genetic variation and disease causation, will help to enable a new reality of personalized medicine and treatment. And this is where efficient, powerful and industrial-scale analysis will become critical. NextCODE’s analytics and interpretation systems have already been tested at such scale, as they are based on the world’s first and largest population genomics effort—that of deCODE. [see blog post] Our systems will be useful tools to efficiently deliver insights based on the vast amount of data that will be generated by these major population-based efforts to improve the state of global healthcare. Bloomberg BNA Business’ “Diagnostic Testing & Emerging Technologies,” highlights how NextCODE is providing a qualitatively different way to store and analyze genomic information to meet growing opportunities in personalized medicine. With advances in sequencing technology and reduced costs, more and more data are generated every day on the genetic basis of disease. The challenge has become how to derive meaningful information from these mountains of data. 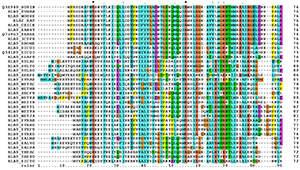 While various systems have been established in recent years to store the large amounts of genomic data from patients’ DNA, a remaining obstacle is to “break the bottleneck” so that researchers can process the vast data in multiple human genomes in order to identify and isolate a small, useful piece of information about disease. Conventional databases and algorithms have not been able to efficiently and reliably identify subset information among the millions of genetic markers in order to inform clinical decisions. This has become a major data management roadblock. The key is to find new approaches for databases and algorithms that accommodate the unique ways that genomic information is analyzed and interpreted. As discussed in Bloomberg BNA, Diagnostic Testing & Emerging Technologies, NextCODE is already easing this bottleneck by providing a qualitatively different way to store and analyze genomic information and apply it to meet the growing opportunities for personalized medicine. NextCODE’s Genomically Ordered Relational (or GOR) database infrastructure is a truly different way of storing this huge amount of data. The principle is very simple: rather than store sequence and reference data in vast unwieldy files, it ties data directly to its specific genomic position. As a result, the algorithms are vastly more efficient compared to a traditional relational database because they can isolate by location in the genome. That makes analysis faster, more powerful, and radically more efficient, both in terms of clinicians’ and researchers’ time, as well as computer infrastructure, I/O, and CPU usage. This holistic approach applies broadly to the priorities of genome scientists around the world, helping them eliminate the data management bottleneck to identify more culprits to many inherited diseases, more quickly and cost effectively. Read more about NextCODE’s work here. The challenge for programs seeking to accelerate their research discoveries with genomic data is how to analyze the wealth of information—to make it clinically relevant and rapidly deliver reliable insights to better inform patient care. The insights we’re gaining from sequencing and analysis techniques are delivering new advances in healthcare with ever greater speed and precision. It’s a particularly exciting time to be a part of this evolving industry, with continual opportunities for new clinical applications of these technologies and platforms. Companies like Illumina and others who are delivering next-generation sequencing technologies are gaining global exposure. New partnerships and programs are placing these advanced techniques into the hands of the world’s leading clinicians and researchers, who are then applying them to some of today’s greatest medical challenges. Recently, plans to integrate sequencing technologies have been announced by world renowned organizations like the Baylor College of Medicine in the U.S., Genomics England, and Sidra Medical and Research Center in Qatar. The challenge for these and other programs seeking to accelerate their research discoveries with genomic data is how to analyze this wealth of information – to make it clinically relevant and rapidly deliver reliable insights to better inform patient care. NextCODE Health is working to advance this piece of the puzzle with its Genomically Ordered Relational (GOR) database and its clinical and discovery interfaces (the Clinical Sequence Analyzer​™ and Sequence Miner™). 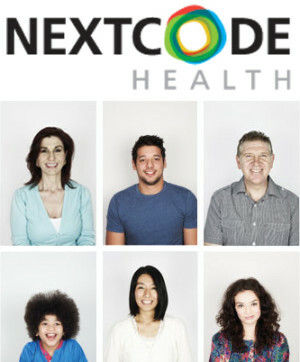 Combining next-generation sequencing techniques with increasingly robust analysis tools, NextCODE Health is helping to accelerate global research progress today to deliver unprecedented advances in patient care in the years just ahead.